Seller will give you a gift certificate in the amount of 16,58 RUB for a positive review of the product purchased. 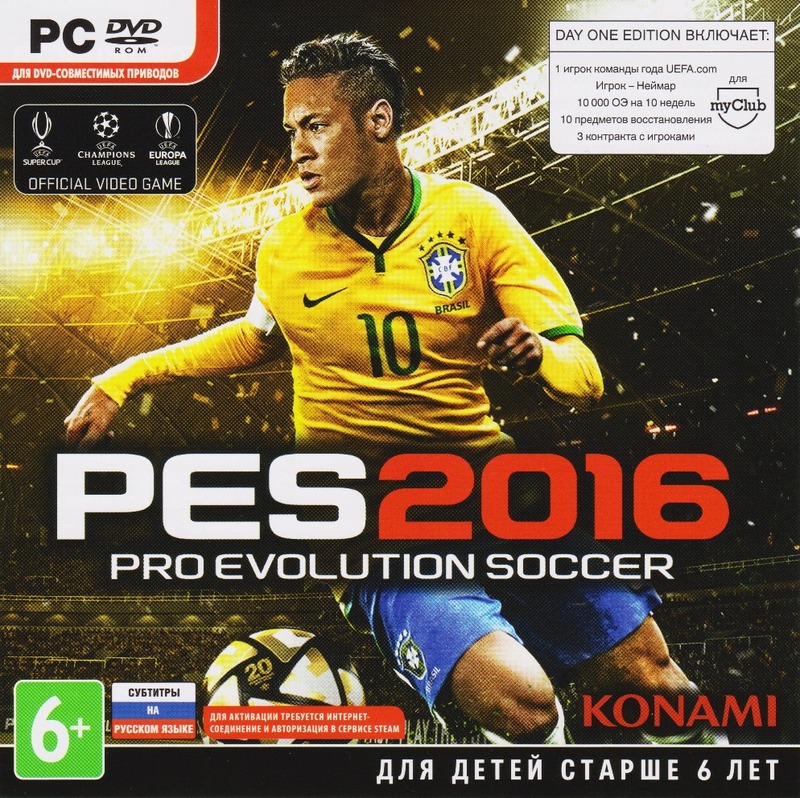 Paying this product you will get IMAGE license activation key from the box game "Pro Evolution Soccer 2016 (PES 2016)," from the company "1C-SoftKlab" to activate the "Steam". Key collection takes place automatically, immediately after the payment. Attention! Publisher reserves the right to make changes to product specifications, without notice. 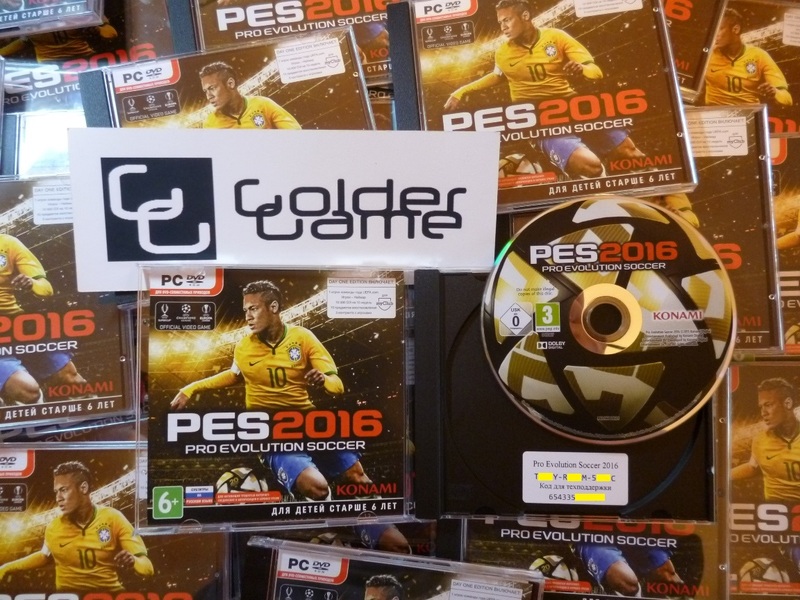 Continuation of the popular football series annually pleasing fans of the genre wonderful games for over a decade. Each new release of Pro Evolution Soccer qualitatively superior to the previous one and drew attention to the players interesting innovations. 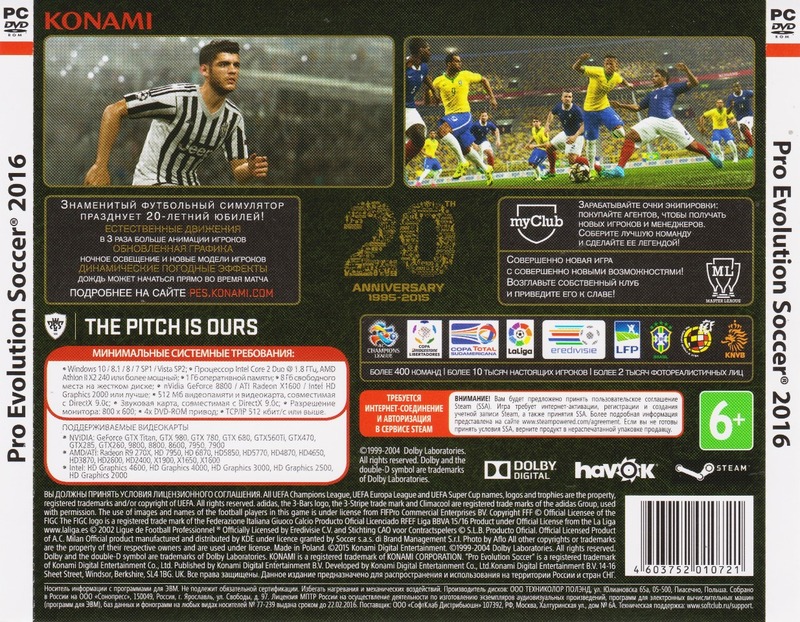 Built on a modern engine, the famous Japanese studio Kojima Productions game PES 2016 - a new word in the virtual football. Perfect control, the highest realism and excellent visualization provide stunning presence and provide a unique gaming experience. • Advanced collision system - introduced a number of improvements in the collision, which now calculates the interaction of players with regard to the type of collision. • Management "1 1" - improved control during output alone that allows you to perform a wide variety of movements and actions. • Perfect protection - timely execution tackle the well-calculated trajectory allows the player to take possession of the ball. After that successful counter-attack - a trick. • AI teammates - thanks to a modified "command" concept becomes an opportunity to play in the bundle. • Parameters goalkeeper - a characteristic added new options: "catch the ball", "goal kick", "jump" and "fighting off". • Controlling emotions - the first time in the series, players will be able to personally take part in the celebration of a goal. • The new "Master League" - a popular mode is fully modernized and will allow players to immerse your head in the world of football management. • New visual effects - introduced many advanced innovations and significantly improved effects with huge graphics capabilities of the new generation engine Fox Engine. • Dynamic weather effects - the first in a series PES presents the dynamic change of weather conditions. • Movement of the players - for greater realism, the game includes 3 new types of animation. • The new physics of the ball - the realism of the behavior of the ball has reached incredible heights. • myClub - mode myClub, updated every week, in PES 2016 is even better, because it modernized in accordance with the wishes of the fans of the game. • Wide-Mobile - the new position of the camera provides enhanced viewing angles, allowing you to better plan the game, follow the ball more accurately plan the run and moving players under the direction of artificial intelligence. 2. Log in to your Steam account, or register a new one if you have not already have it. 3. Go to "Games" and there select "Activate via Steam» and enter the key purchased from us. 4. After activating the game appear in the list of games and you can download it. Please! Leave your comment after the purchase, it is very important to us. Thank you for choosing us! • Each buyer we give a gift - guest key to Diablo 3. To do this, leave your positive feedback and send to our mail a request "I want to present." The request must be sent to profit from the post office that you specified when you pay, or enter an account number in a query of your purchase. The gift will send a return letter. • Every third customer (in random order), we give the occasional game for STEAM / ORIGINAL. To do this, leave your positive feedback and wait for a gift in the mail if you win. • The shares do not participate resellers! 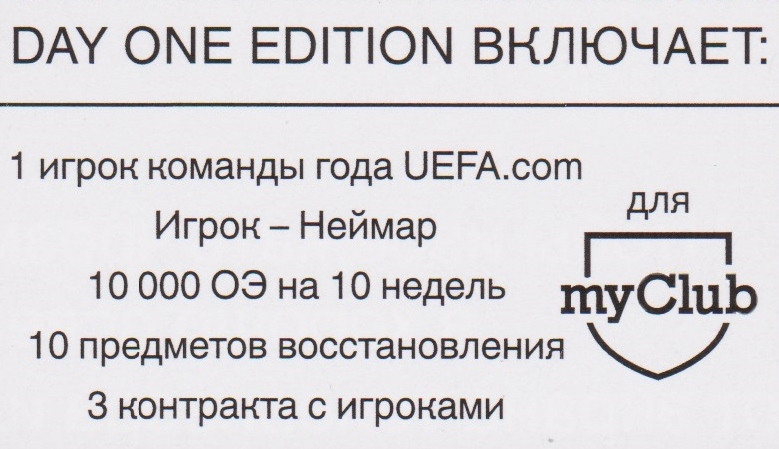 Seller will give you a gift certificate in the amount of 16,58 RUB for a positive review of the product purchased..